On Monday, I mentioned a teaser about how my mother and I were going to do a spell for weight loss. I’m a little distracted today, try to keep up with me. It’s only 2 and so much has happened. I’m departing a little from my fledgling themed days and introducing Fangirl Fridays to the line-up. Some days I cook, and some days I get myself presents. Today I received a 1:21 scale model of Sasha Williams from The Walking Dead. Two posts in a week, look at me go! I really love spaghetti squash. Mostly because I’m a child and I love things that look like other things. But I’m also an adult, so things that look like other things and are actually healthy are a perfect combination. Spaghetti squash is high in folic acid, beta carotene, potassium, and vitamin A. Not to mention it’s high in fibre and low in calories. I like to eat it like pasta, with a Sardinia bolognese. But it’s also nice as it’s own thing. Right now I’m obsessed with a sweet potato and spaghetti squash hash browns that I top with a poached egg and a little of that Health salt . So, I guess Mondays can be for me to talk about myself for a bit, try to connect as a person, and not just a lecturer with a variety of subjects (and a sense of humour like a dry martini). I hang out with other local pagans on the weekend, and every week we have a topic we discuss to share experience and help each other grow. We also hold public rituals for the 8 most common pagan holidays. In my infinite wisdom (and more than a little wine), I volunteered to run the Mabon ritual, which is way outside my comfort zone, but hey ho. They’re a nice bunch of people, and they’re interested in what I do. I chose Mabon for a couple of reasons. A) it’s not as big as Lughnassadh. I’m not ready for that pressure. Plus our druid wanted Lughnassadh, so he can have it. B) Mabon was a made-up holiday because we needed 8 to fill out the Wheel of the Year, so who cares if I choke. And C) it’s named after a Welsh character, and Brythonic polytheism is my jam. Plus, the weather will be less gross. But I’m not confident in public, so I have Patricia Telesco’s 365 Goddesses to help me out. Every day there’s a Celtic goddess honoured, I hold a small ritual. I use the Segomâros Widugeni ritual outline from Dun Brython but modify it to fit my UPG and my personality and relationship with my gods. So today is Nemetona’s day. Nemetona is a Gaulish goddess whose name means, ‘she of the sacred grove.’ She was most prevalent in northern Germany, where she gave her name to a tribe called the Nemetes. Little is known about them, except that they worshipped her and were, as Julius Caesar put it, totally Germanic. I know. A totally Germanic tribe named after a Celtic goddess? Well, experts seem to think there’s enough evidence of the majority of the people being German, but the ruling elite were Celtic. This is hugely important for Reconstructionists. There is so little concrete evidence of what and how the Celtic people worshipped, that it’s difficult to form a complete picture. However, here we have proof of cultural integration with a culture that is well documented. This is why a lot of Celtic Reconstructionism looks like Heathenry. Where we find holes, we plug them with bits from other cultures. It’s not cheating– the Celtic people were in contact with many groups, including the Greeks and Romans, and where cultures meet, they borrow from each other. We can see evidence of that even today. For instance, all the people in southern California wandering around with their phones out, playing a very popular Japanese game. So anyway, according to Telesco, Nemetona is also known for helping people’s wishes come true. We happened to have bought some flying wish paper from our local shop, so this seemed like a good time to try it out. We went down to our local semi-wild park, the closest thing we have to a grove in our area, and did a little ritual for Nemetona. Unfortunately, the wind (we NEVER get cool breezes here) decided to be present and the wish paper didn’t work quite as well in the open air as it would indoors, but it was still fun. I also reconnected with my personal oak tree. It doesn’t look well, so I’m going to try to find a tonic for oak trees to feed it next time I see it. It was a lovely day out, and I’m going to need to look closer at Nemetona. She seems like someone I could have a good relationship with. Now, we haven’t discussed it much because I’m trying to stick to my themes, but my primary occupation in life is writing. Right now, I’m working on a historical fantasy series, the first book revolving around a retelling of Jack and the Beanstalk. The second is Goose Girl and a variety of other stories, the third is the Little Mermaid, the fourth is Sleeping Beauty, the fifth is the Pied Piper of Hamlin, the sixth is Little Red Riding Hood, and I believe the seventh will be Snow White. I have shorts and novellas between the novels, like the Emperor’s New Clothes and the Gift of the Magi, and references throughout the stories, like the Mouse, the Bird, and the Sausage, and the Prince and the Pauper. Fairy tale characters abound, including Cinderella, Rapunzel, the Beauty and the Beast, the Princess and the Pea. And no, these bear no resemblance to Disney movies, except where Disney remains faithful to the original source material. I’m not doing a Once Upon A Time thing, here. I do occasionally draw inspiration from Disney characters because I am a Disnerd, but I try to keep it subtle. 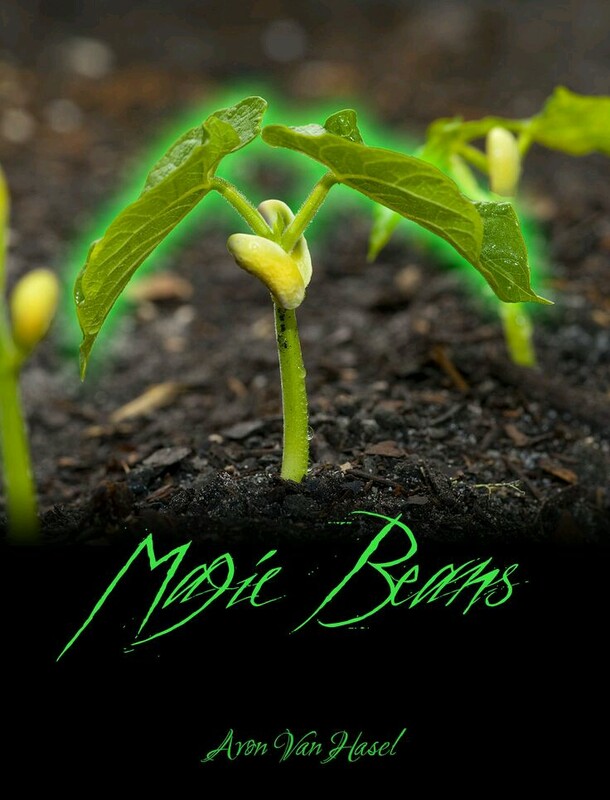 My first book is called Magic Beans. I’m not going to spoil too much, y’all are just going to have to wait until it gets published. Don’t worry, you’ll be informed when it’s getting close. Right now, I’m editing it, trying to cut down the fluff, so I can get ready for rewrites. When I finished writing it, it was a bloated 91k words. Now, it’s down to 82k, just from reducing filtering, getting deeper into point of view, and cutting out repetitive phrases. I’m hoping to have it to 75k before I start the macroedits. It’s already been through one round of peer review, and after macroedits, it’ll be ready for beta reading. So, tightening and cleaning, macroedits, beta stage, edits, shipping out for publication. Then if it gets picked up, probably at least one more round of edits. That’s my road map. Ahh, the life of a writer. So glamorous! I’m also ankle-deep in Camp Nano, writing a Heroine’s Journey about the perils of dabbling in the occult, but we’ve only just met! I’ll save that discussion for another day. Don’t worry, Camp NaNo goes on all month, I’ll have plenty of time to angst over it. So, that’s what I’ve been up to. Hanging out with Nemetona and banging my head against the wall, try trying to get this book ready to be sent out into the world. I hope to see you again, when I’ll be talking about something completely different! For those of you who don’t know, Monday was a major holiday for us in the States. The Fourth of July is our Independence Day, usually marked with fireworks, barbecues, postal service delays, and loads of flags posted on social media. One of the cultural mainstays of Fourth parties are large amounts of food, mostly hot dogs, hamburgers, ice cream, s’mores, and those huge veggie plates with dipping sauce we hope people will go for instead of the chips ‘n dip. A polite, health-conscious few will grab a couple of carrots and then ‘leave the rest for other people,’ and the host ends up with almost a full plate of raw cauliflower, broccoli florets, cherry tomatoes, and cheap ranch alternative. You can’t throw it away–it’s actually pretty expensive for vegetables, and they’re still fine. But you don’t want to eat them either. So what do you do? I might have some ideas for you.